NS locomotive 125, now Museum Buurtspoorweg no.15 is an Oersik machine from the year 1931. Picture by the Museum Buurtspoorweg, Boekelo 11.7.2015 by Ilkka Siissalo. Another view of the same Oersik machine. 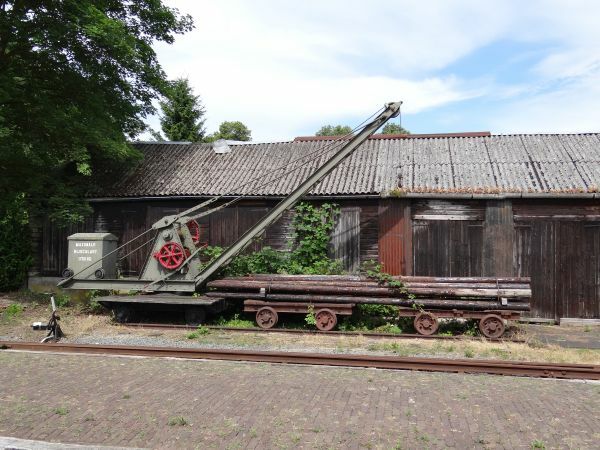 An old mechanical vinch for hauling telegraph poles. The foundation STAR (Stadskanaal Rail) operates a lively museum train traffic on the line Veendam – Stadskanaal – Musselkanaal in the northern corner of province Groningen. 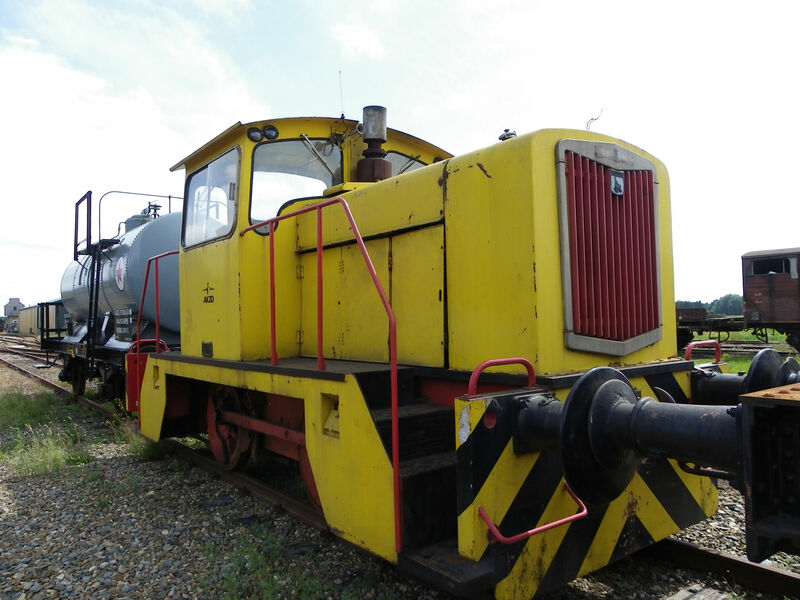 STAR has a very extensive collection of old trains. 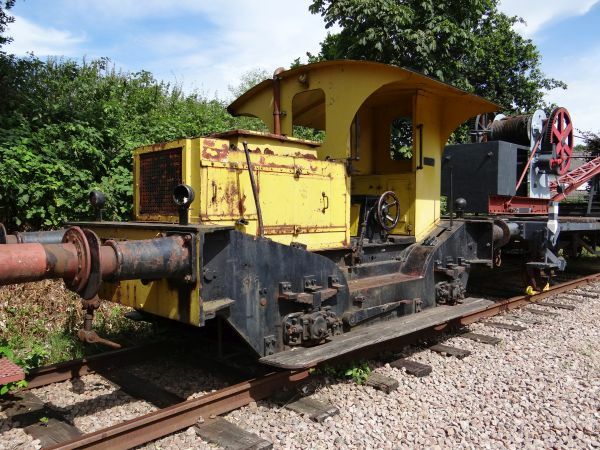 They also renovate and put in operating condition locomotives, which as a starting point can look like being in tremendously bad condition. 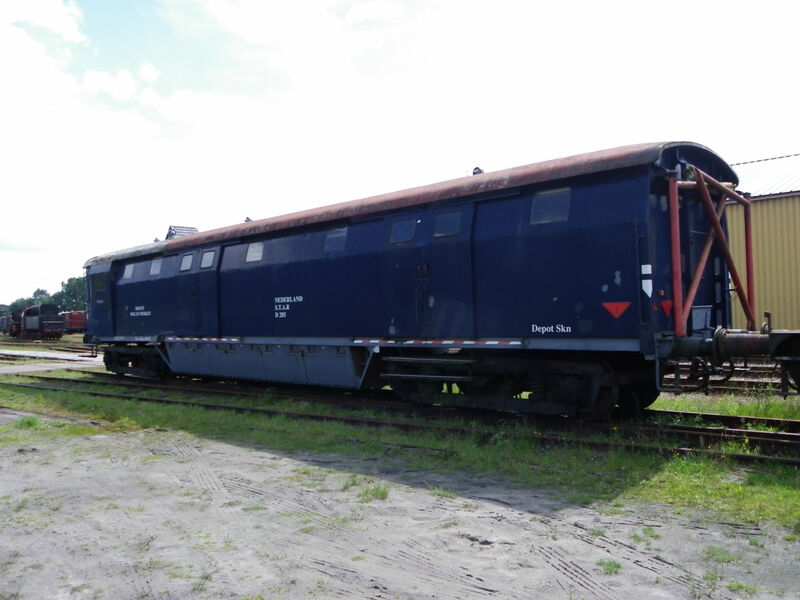 These are old German TEE (Trans Europ Express) coaches that STAR sometimes uses in its museum trains. This one is a TEE conductor's coach and behind it is a normal 2nd class TEE coach. Picture from Stadskanaal 5.7.2010 by Ilkka Siissalo. 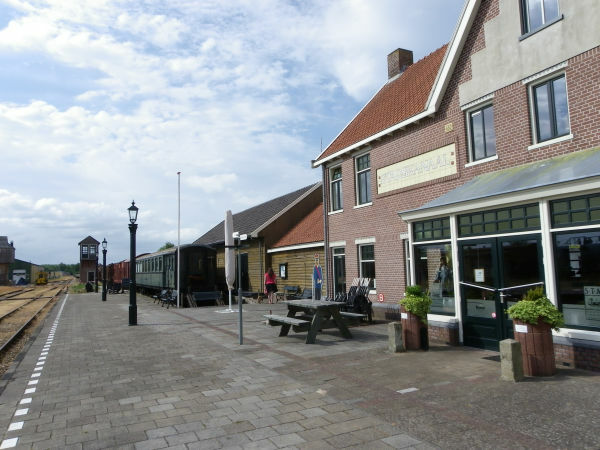 The station of Stadskanaal is the operational centerpoint of STAR. 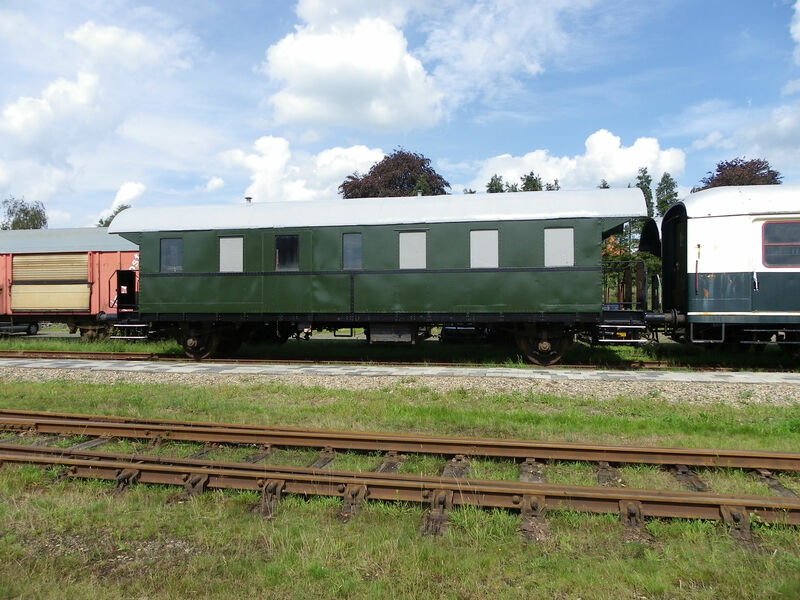 In the background on the left are the stables where STAR volunteers put old trains in working order. 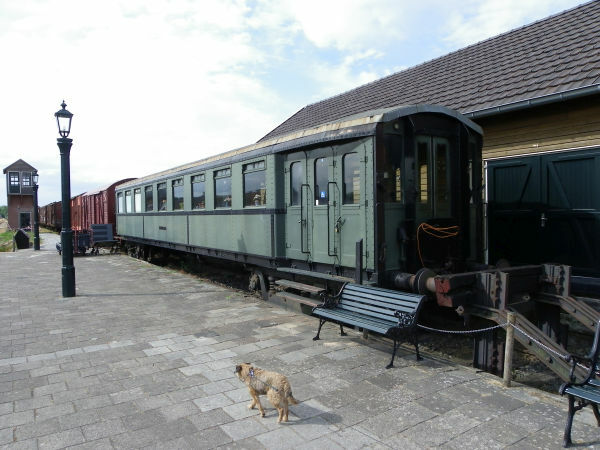 This old coach belongs to a so called Blokkendoos (tin plate can) train, officailly known as Materieel '24 from 1924. 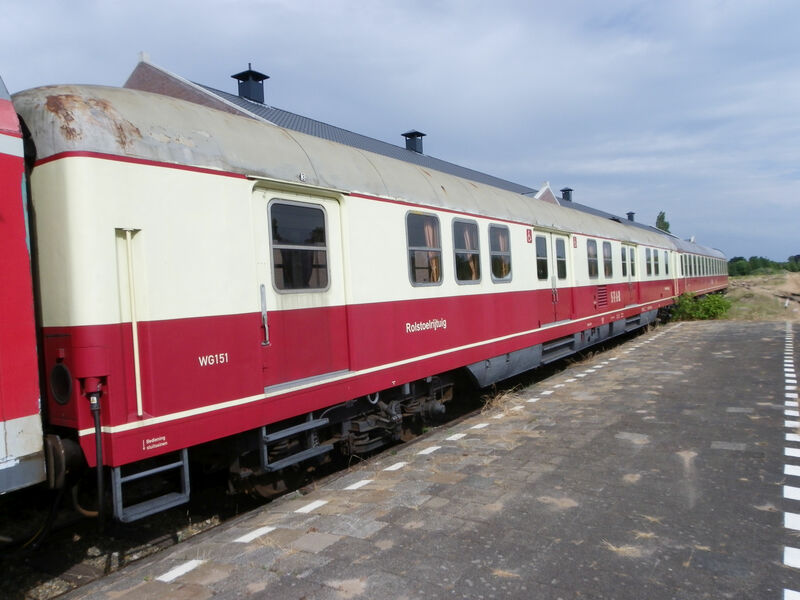 They were used for a long time in regional short-haul trains around Amsterdam. The dog in the front is our late border terrier Tau, who during her life participated in train spotting - err, sniffing ;-) - in 19 countries. 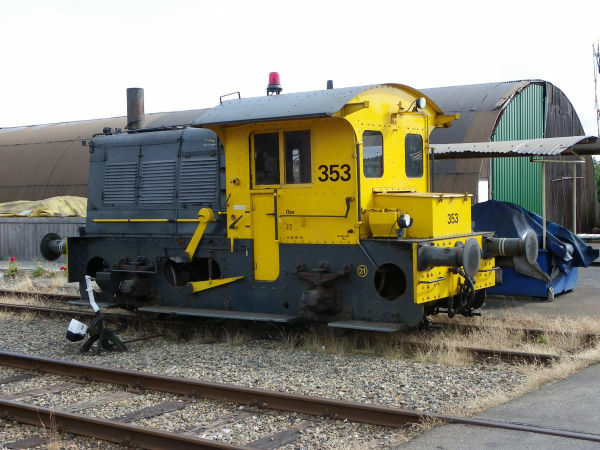 This old switcher locomotive of the type Sik, number 353 is not really beautiful, but they were commonplace soon after WWII in the Netherlands. 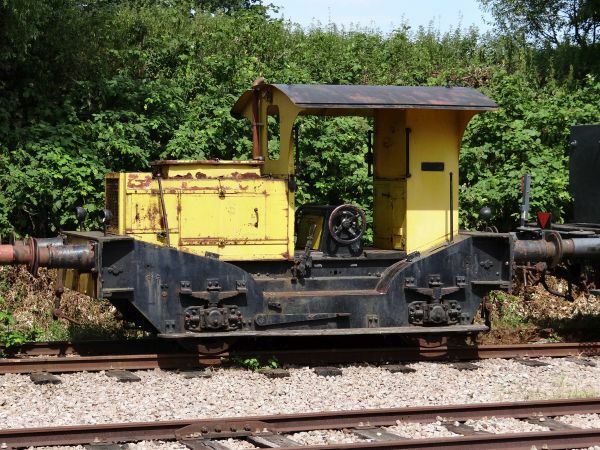 It was a diesel-electric machine with an engine of the type Stork Ricardo C 153, built in 1950. Similar machines were built since 1934. Power rating is a modest 62,5 kW and top speed is 60 km/h. 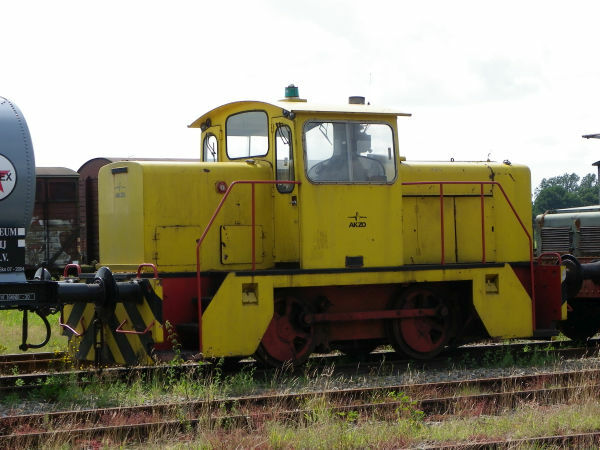 This one was previously owned by Strukton Rail, before it came to STAR in 1998. In 2010 it was still in active use in shunting at Stadskanaal. 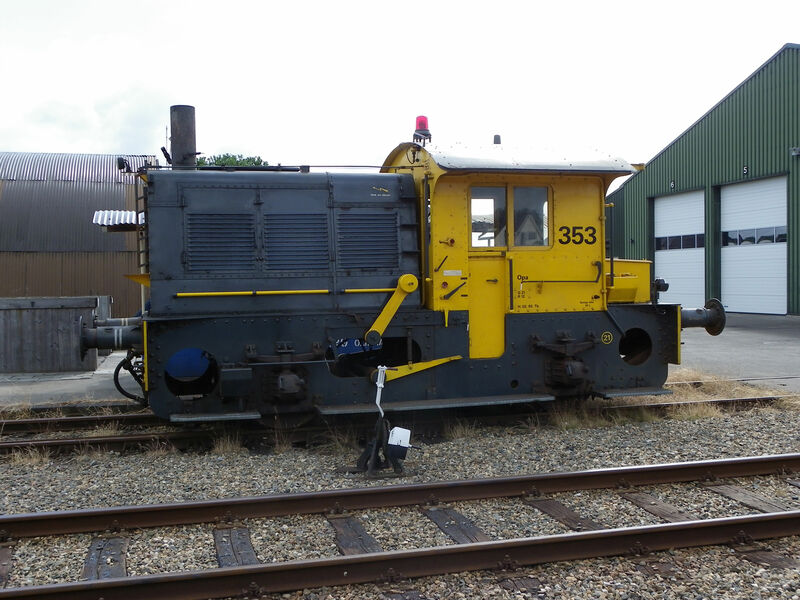 Another view of the same Sik 353n named "Opa" (grandfather). Yet the same Sik 353n named "Opa", but seen from the back. It's a very peculiar looking machine. 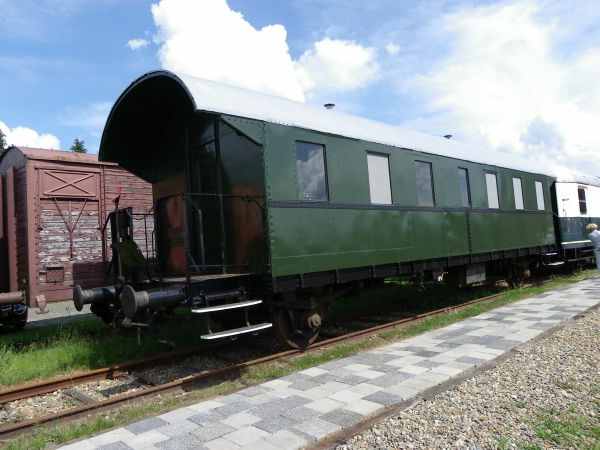 This "D.285" is an express train baggage coach of the type "Stalen D". They were in use by the NS in express trains since 1932 to the beginning of the 1980s. They were built by three different manufacturers in the 1930s. 11 of them are saved in various museums, this being one of them. 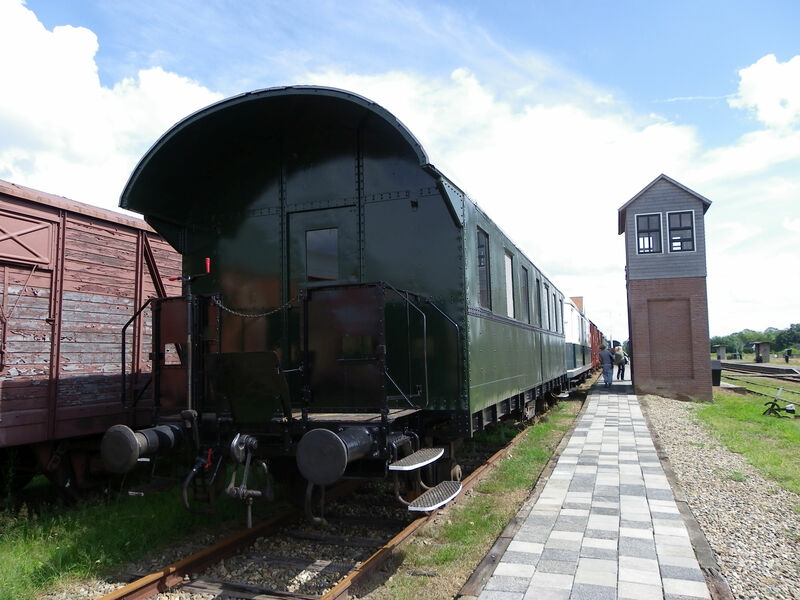 This one is the number DIV 6065 "Geert", built in 1932. Picture from Stadskanaal 17.7.2011 by Ilkka Siissalo. The same baggage coach DIV 6065 "Geert", built in 1932, seen from another angle. 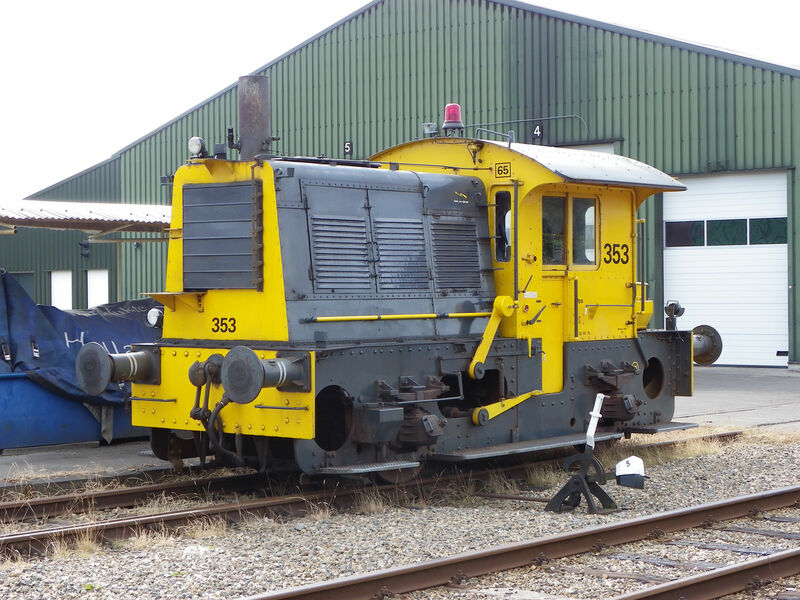 The locomotive "Rudolf" of the type Stephenson built by English Electric, Vulcan Works, Newton-le-Willows of Veendam was the first diesel locomotive of the STAR and since late 1994 it was on loan to the Akzo Delfzijl factory. It is defective since 1996 and is waiting if STAR gets enough resources to put it in working order again. "Rudolf" seen from the front. Rudolf was built by English Electric, AEI and Vulcan Works ion Newton-le-Willows, England in 1970 as their locomotive no. 3988. 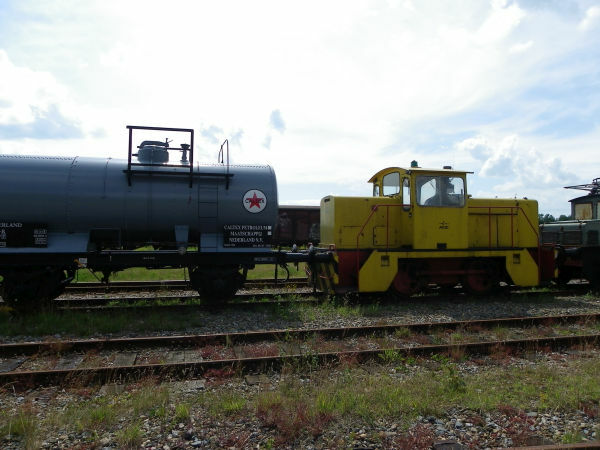 "Rudolf" with an old tank wagon. Two of the so called "Wannentender" (bath tub tender) wagons from the times of WWII. 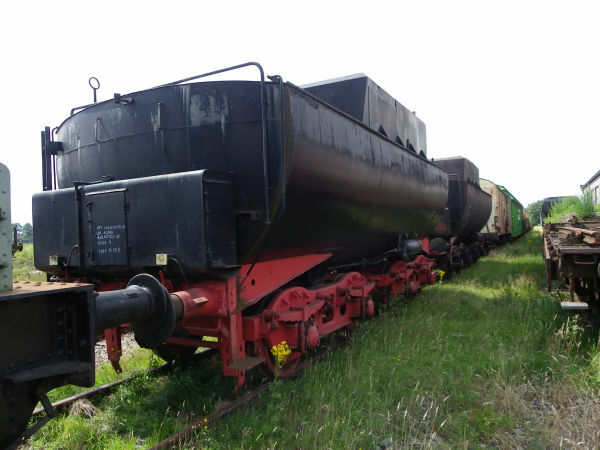 These normally belong to Br52 so called Kriegslokomotiven, war locomotives of Nazi Germany. One of the famous German "Donnerbüchse" (thundering tin can) coaches of the 1920s. The same Donnerbüchse as above, but seen from behind. 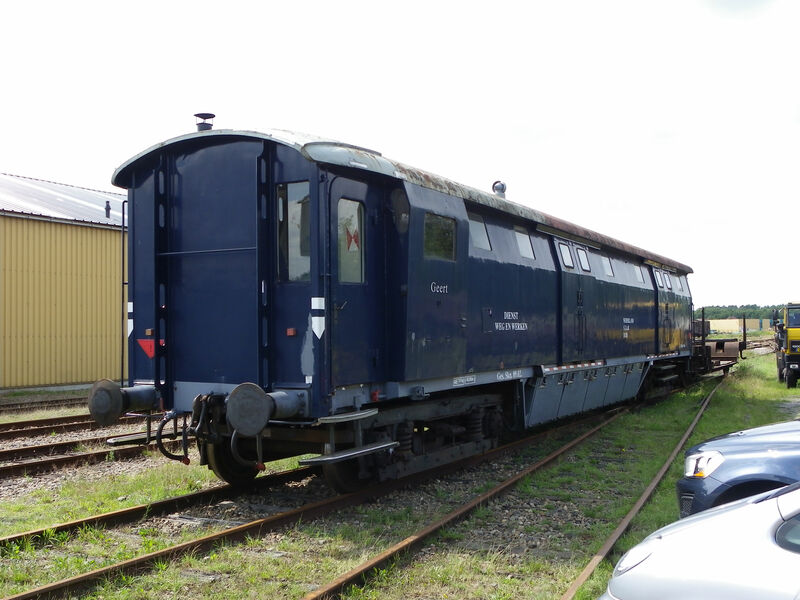 In front of it a 1970s German express train coach in blue and cream livery. Side view of the same Donnerbüchse as above.